Vertigo is a specific kind of dizziness that causes the abnormal sensation of spinning. Many times, vertigo episodes can be accompanied by nausea or vomiting. One of the most difficult things to cope with when it comes to vertigo is the unpredictable nature of the condition – one never knows when the next attack might occur, which can bring along considerable anxiety. The most common cause of vertigo is a condition called benign paroxysmal positional vertigo, or BPPV for short. BPPV happens as a result of inner ear dysfunction. Crystals that are usually embedded in the tissues of the inner ear become displaced and can create the illusion of motion when in fact there is none. BPPV can last for weeks but may continue for months or even years. 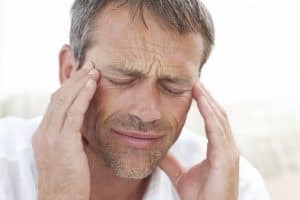 Common treatment options include the Epley maneuver, which attempts to reposition the dislodged crystals so that they are less likely to disrupt your body’s sense of balance. Other maneuvers may be taught to vertigo sufferers to be done at home to try and find relief during an attack. Because of the unpredictable nature of vertigo episodes, finding a solution that can address it at its root cause can be the way to find lasting relief. Many vertigo patients are seeking out the care of an upper cervical chiropractor because of the unique approach to adjusting and the results that are being attained. Upper cervical chiropractic is unique in that it addresses the alignment of the top two vertebrae in the spine, the atlas and axis. These two vertebrae play a critical role in the function of our body’s central nervous system and how it perceives information concerning balance. In a study of 60 vertigo patients undergoing upper cervical chiropractic care, 48 patients were symptom-free following care, and the remaining 12 saw an improvement in either the severity or frequency of their vertigo episodes. Elster EL, Sixty Patients With Chronic Vertigo Undergoing Upper Cervical Chiropractic Care to Correct Vertebral Subluxation: A Retrospective Analysis. J Vert Sublux Res 2006; Nov 8:1-9.